Apple has started rejecting apps that access iPhone and iPad Unique Device Identifiers (UDIDs) amid ongoing app privacy concerns. The move was not entirely unexpected, as six months ago Apple warned developers about the impending change, saying that it would deprecate UDIDs in some iOS documentation. However, it is only now that Apple has started actually rejecting apps for using UDIDs. 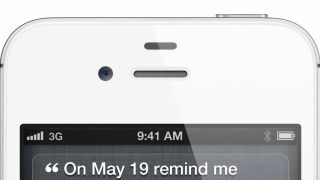 The UDID is a unique reference code attached to every Apple device. It's used by ad networks, analytics providers and developers, allowing them to target products and track usage. However, unlike cookies which perform the same function in web browsers and can be deleted, UDIDs are fixed codes which identify very personal devices. The changes have been put in motion since US Congress began investigating app privacy issues following the controversy surrounding the Path iOS app which uploaded users' address books without permission. The change leaves many developers looking for an alternative. Jim Payne, boss of MoPub mobile ads platform said: "The UDID is essential for managing the conversion loop. All the performance dollars that are spent on mobile are going to impacted by this not being there." Appsfire is pushing an open-source solution called OpenUDID, though another option is that users could end up being asked for permission to use their UDIDs as Android and Facebook users are when installing a new app.